Gwinganna Lifestyle Retreat is Ecotourism Certified due to its beautiful location, natural surroundings and conscious effort to create minimal impact on the environment. Gwinganna is fully registered with Land for Wildlife, a program committed to protecting and enhancing wildlife habitat on the property. Under the guidance of local non-profit organisation Wildcare Australia Inc, who rescue and rehabilitate sick, injured and orphaned native wildlife, we have released five rescue koalas and eight echidnas onto the property. 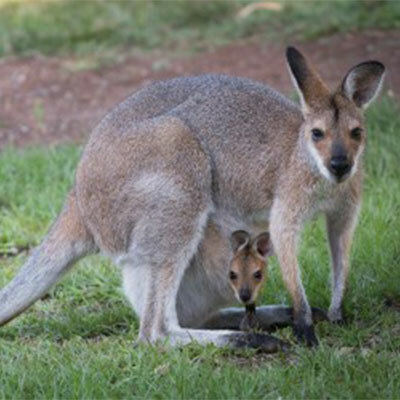 We thank Wildcare for their tireless work along with Currumbin Wildlife Hospital Foundation. 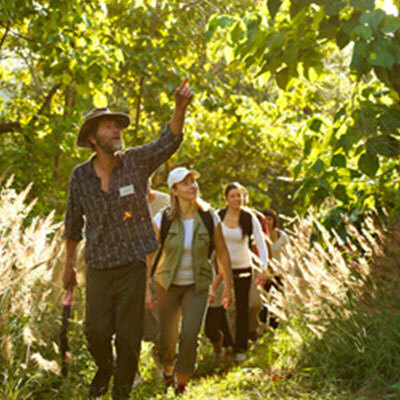 At Gwinganna we have over 16 different walks and trails to experience, from gentle to more challenging. A highlight for many guests is taking the walk with John Palmer, resident botanist and social ecologist. Originally, John followed the animal paths around the property and surrounds, from which he developed all our walk tracks. John regularly escorts walks and hikes before breakfast, fascinating guests along the way with his knowledge. John is passionate about recycling and inspires guests to also adopt new habits to help reduce our impact on the environment. Gwinganna chooses organic produce with much of the fresh produce supplied from the on-site gardens. 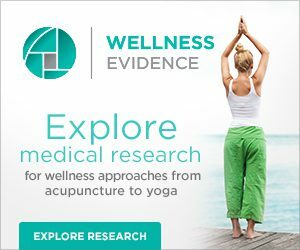 This commitment helps reduce the load on our environment and ensures optimal nutrition form the delicious foods each meal. In the spa, certified organic skincare is supplied by PHYT’S, recognised as a distinctive therapeutic skincare range for over 40 years. 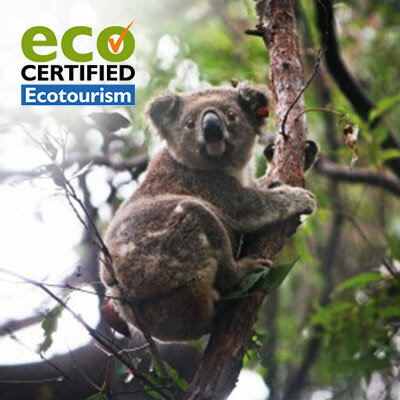 The ECO certification means that you are guaranteed to experience a genuine facility that looks after the environment. Ecotourism shows that Gwinganna is located in beautiful natural surroundings creating minimal impact on the environment. Around the property, you can explore and enjoy the organic gardens which provide an abundance of herbs, greens, fruits and vegetables. The main garden is also home to the composting, worm farming and chickens. Resident organic gardener and former Chef, Shelley Pryor oversees this wonderful space and also presents various sessions for guests interested in learning more about organic gardening. On this expansive property over 200 hectares, you can explore the natural environment that has existed for thousands of years. Freshwater springs flow through fern and palm glades into gullies, sprinkling over cliffs. Many trails frame the distant mountain, ocean and valley views. Some of the spectacular trees have weathered hundreds of seasons. A haven for birds, animals and plants, there are koalas in the swaying gums, wallabies who meander around the property and graze on grasses and plants while the delightful kookaburras sing when it's time to greet the day. Explore this land and harvest edible greens, fruits and nuts while on the guided walks, gather aromatic leaves from shrubs and grasses for medicinal teas. Be part of this natural splendour in ways that excite you to discover and help preserve the abundance of your local natural precincts when you return home.